Our THC Rich Formulation is ideal for strong pain relief and mental calmness. Many consumers have found this ratio to be helpful for sleep conditions. 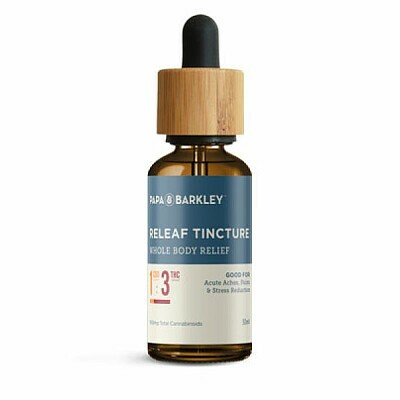 Relief Tinctures provide a holistic, discreet and flexible option for those needing strong pain and anti-inflammatory relief. Our tinctures come in a variety of ratios, allowing you to customize your care to your needs. Our tinctures can be taken under the tongue (sublingually), swallowed, or added to your favorite green juice or smoothie for a micro-dosed boost. For the fastest results, use the tinctures sublingually by dropping your dose under the tongue and hold for 15 seconds until absorbed. Onset usually begins within 15 minutes to 45 minutes. When taken orally or added to a drink onset begins within in 45 to 90 minutes. Repeat as needed, taking into consideration onset times.